Crazy scientists from the Sense Laboratories stayed closed night and day to work on and have succeeded to confection for you THE collection of flavours which will make you discover unknown sensations, up until now. Appreciate these large sample of recipes, aromas which have been carefully selected to obtain a perfect balance between flavours. 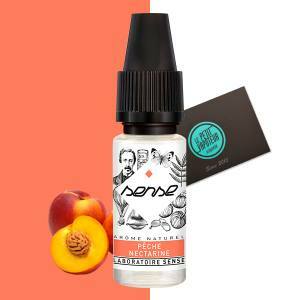 What are you waiting for to experience the Sense E Liquids? Laboratoire Sense is a French manufacturer of e liquids for the Electronic Cigarette proposing a diverse collection of e liquids. Find the Sense Collection in a 10ml and proposing flavours from Classic to Fruity by passing via Menthol and gourmet. Try for example the T Blond, a delicious classic blond accompanied with notes of caramel and liquorice. With fruity, you can discover perfect aromas, retranscribed with fruits, freshly hand picked such as: Gariguette Strawberry, Blueberry Raspberry, Mango associates with Pineapple or even a duo of Peach and Nectarine. You can refresh yourself with the Mint Chill Sense or even relax with a Lemon and Lime Candy, a Verveine E Liquid. 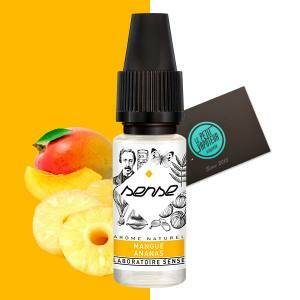 Each Sense e liquid proposes different rates of nicotine to choose from: 0, 3, 6, 12 up to (18 mg for the classics).